Board-certified pediatric dentist, Rosalie Nguyen, DMD, is driven by the philosophy that all children, including those with special needs, deserve excellent dental care that meets their personal needs. 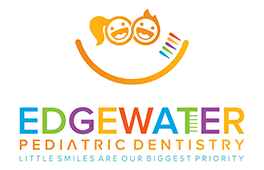 As the founder and chief dentist at Edgewater Pediatric Dentistry in Edgewater, New Jersey, Dr. Nguyen provides comprehensive oral health care services for infants, children, and adolescents alike. After receiving her dental degree from the University of Medicine and Dentistry of New Jersey, Dr. Nguyen completed her general practice residency at St. Joseph's Children Hospital and University Medical Center in Paterson, New Jersey. She went on to complete another residency in pediatric dentistry at St. Barnabas Hospital in New York City, where she served as chief resident. Dr. Nguyen then underwent extensive training at the Rose F. Kennedy Children's Evaluation and Rehabilitation Center in New York City, where she provided dental care for young patients with physical and developmental disabilities. She’s also specially trained to treat children of all ages with sedation dentistry options including nitrous oxide, oral sedation, in-office intravenous (IV) sedation, and general anesthesia, which is done in a hospital setting. On staff at Hackensack University Medical Center, Dr. Nguyen serves as an attending physician, clinical floor supervisor, and resident student instructor in the pediatric dental department. 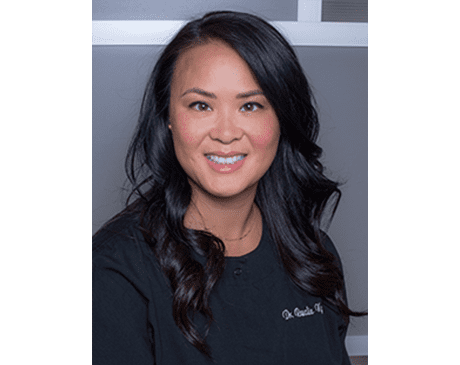 In addition to being a Diplomate of the American Board of Pediatric Dentistry, Dr. Nguyen is an active member of many professional associations, including the American Academy of Pediatric Dentistry, New Jersey Academy of Pediatric Dentistry, and American Dental Association, among others. Dr. Nguyen has been nominated several times as Top Pediatric Dentist in NJ Monthly magazine voted by other dental colleagues and has been awarded Incisal Edge's 40 under 40. The Incisal Edge "Top 40 Under 40" is a program aimed at recognizing innovative and passionate young professionals in dentistry. As one of the most highly respected and well-known pediatric dentists in eastern New Jersey, Dr. Nguyen has been included in the “Top Dentists” by the Consumers’ Research Council of America and also named an “NJ’s Favorite Kids’ Doc” by New Jersey Family magazine.